United Kingdom Homecare Association (UKHCA) is the national professional association and representative association for organisations who provide care, including nursing care, to people in their own homes. In June 2011, we launched our Strategy Statement “Raising the Standard for Care” that defines our strategy for 2011 to 2016. This is a high level summary of UKHCA’s strategy, setting out our outline plans for the next five years, in the context of our new long-term Vision. Our vision is of a United Kingdom where a choice of high quality, sustainable community-based care is available to all. Our mission, as a member-led professional association, is to promote high quality, sustainable care services so that people can continue to live at home and in their local community. We will do this by campaigning, through leadership and support to social care providers. We will be efficient and effective in our work; accountable, honest and driven by quality. We are focused on our mission; wholehearted in our approach and will deliver on our commitments. Our advice and campaigning will be fact-based and we will be authoritative on homecare and related issues. We will be considerate, responsive, patient and respectful in our dealings with others and will listen actively. We will anticipate and research issues and, as leaders in the field, will be positive and constructive in our approach. UKHCA produces information on good practice and acts as a focal point for innovation and quality within the care industry. It fosters the exchange of information and ideas between members; monitors developments in the UK and internationally which may be of interest to members and forms links with other organisations and individuals having similar or sympathetic objectives where co-operation will benefit members and recipients of home care. 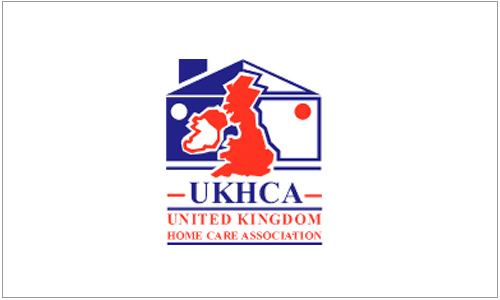 UKHCA was formed in 1989 to represent the views of independent sector providers of domiciliary care. It was set up to respond to the many issues arising from the changes in health and social care legislation, which were shaping the future of the sector. The devolved agenda has become increasingly important with the introduction of care regulation in England, Scotland, Wales and Northern Ireland. Wherever they are, our members receive the professional support of UKHCA. UKHCA members providing domiciliary care represent a wide cross section of providers – from small businesses to large organisations encompassing the statutory sector, private, not-for-profit, voluntary and charitable concerns. Our members are based all around the UK, from city centres to rural locations.